In October 2016, the World Health Organization (WHO) launched its one-year campaign, “Depression: Let’s Talk,” with the goal of encouraging more people with depression, in all countries, to seek help. According to WHO, “depression is the leading cause of ill health and disability worldwide. More than 300 million people are now living with depression, an increase of more than 18 percent between 2005 and 2015.” Addressing depression as it affects older adults is an area I’ve worked in for many years, so I was very encouraged to see WHO address the unique aspects of this condition for older adults in its mid-campaign World Health Day publicity push on April 7. When discussing depression in older adults, there are some common misconceptions that need to be addressed at the outset. Depression is not a normal part of aging. Depression is not just having “the blues” or the situational emotions we feel when grieving the loss of a loved one, or dealing with a difficult health problem. Depression is a true medical condition that is diagnosable and treatable, like diabetes or hypertension. 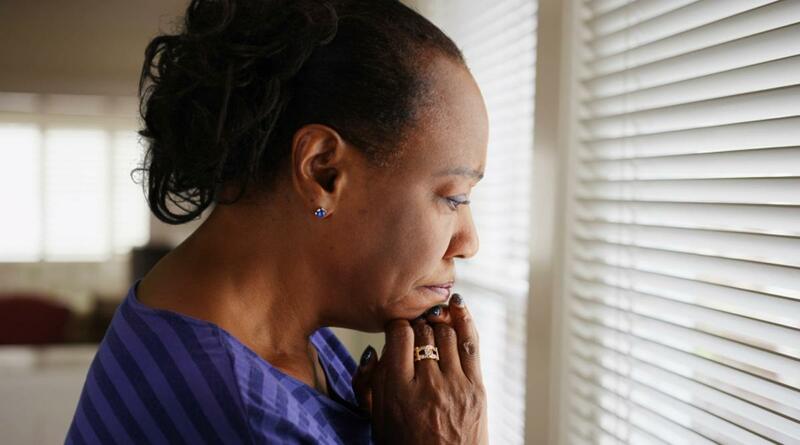 However, older adults are at increased risk for experiencing depression compared to other age groups, due to their higher likeliness of isolation, loneliness and the daunting difficulties they experience when they have to deal with many chronic illnesses and take many medications. When combined with depression and/or anxiety, chronic medical conditions such as heart disease, asthma, diabetes and hypertension get worse, resulting in increased levels of illness, disability and death. A CDC report estimated depression will become the second largest cause of disability by 2020, and the cost of medical care and lost productivity associated with depression is approximately $60 billion dollars annually. Older adults are at increased risk. Approximately 80 percent of older adults have at least one chronic health condition, and 50 percent have two or more. Incidence of depression is documented to be more common in people who also have other chronic illnesses (such as heart disease or cancer) and/or whose function becomes limited. Older adults are often misdiagnosed and undertreated. Health care providers may mistake an older adult's symptoms of depression as just a natural reaction to illness or the life changes that may occur as we age, and therefore not focus on the depression as something to be treated medically. Older adults themselves often share this belief and do not seek help because they don't understand that they could feel better with appropriate treatment. Also – reflecting generational attitudes – many older persons today still may think of depression as a character flaw and may be worried about stigma or being humiliated if they share their emotional state fully. Older Adults may have other factors at play. Depression in the elderly population can be complicated by dependence on substances such as alcohol, which acts as a depressant, or prescription pain medications – a serious national problem across age groups. Older women are at a greater risk. In general, women are twice as likely as men to become seriously depressed. Biological factors, like hormonal changes, may make older women more vulnerable. The stresses of maintaining relationships with children and/or caring for an ill loved one also typically fall more heavily on women, which can contribute to higher rates of depression. Unmarried and widowed individuals, as well as those who lack a supportive social network, also have elevated rates of depression. Because of these factors, special efforts may be needed to locate and identify these people to provide them with mental health care. Studies have suggested that, after diagnosis for depression, there has been an emphasis on anti-depressant medication and an underuse of non-pharmaceutical treatments when treating older adults. Because behavioral interventions have been shown to be as effective as anti-depressant medication in the treatment of certain types of depression in older adults, there are current efforts to expand behavioral and psycho-social approaches to alleviate depression. Connecting older adults to social group supports like a religious congregation or bridge group, senior centers, or adult day health centers, should be encouraged. There are also evidence-based programs that are addressing depression in older adults such as IMPACT, PEARLS and Healthy IDEAS, among others, that communities can use to improve mental health and quality of life for older adults. The primary goal of all these models is to enable participants to build self-confidence, and to assume an active role in maintaining and managing their feelings of sadness, despondency, disappointment or hopelessness. Experience in all these programs has shown that by giving isolated adults dealing with depression the opportunity to share, learn, try new experiences, and enjoy each other’s company in a friendly, non-judgmental, and non-prescriptive environment where they feel respected and valued, great improvement in well-being can be achieved. Now, that we’ve started, let’s keep this conversation going!